The Academic Village features a classic collegiate design that complements the historic campus. The Academic Village includes five intimate two-story pavilions, which provide student and faculty living spaces, classrooms, and office areas for liberal arts departments. After the success of Elon University’s strategic plan, the North Carolina-based liberal arts university envisioned an ambitious addition to campus: an Academic Village that would provide facilities for additional student housing while creating a community centered on the arts and sciences. 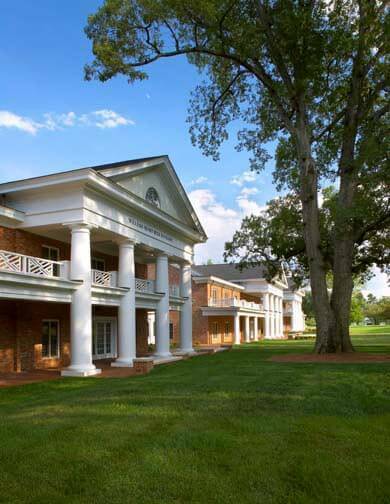 Spillman Farmer Architects was selected to design this remarkable quadrangle. The first two pavilions, which opened in the autumn of 2002, are the Isabella Cannon International Studies Pavilion and the Honors Pavilion. These buildings provide theme housing for foreign language and international studies majors as well as top honors students and faculty members who live together in a learning community. The remaining three buildings offer a variety of classroom and office space on campus.